Two goals from Aaron Quain sent Deal to their third defeat in their opening three matches of the season on Tuesday night. Following a goalless first half Quain fired the Oystermen ahead 11 minutes after the restart and then added his second direct from a 77th-minute free-kick. And that was enough to ensure victory against a Hoops side who, with just one goal in those opening three games are struggling to carve out decent goalscoring chances. 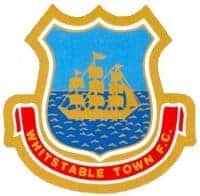 Tuesday’s team showed three changes from the side which lost 5-1 at Cray Valley on Saturday, with Chris Waymark, Sam Short and Danny Smith all making their first “starts” of the campaign against a Whitstable side who had won their opening two matches. And the Oystermen, with a trio of highly-experienced performers in midfield in Nick Treadwell, Lee Winfield and Darren Marsden, controlled the early proceedings but then Marsden was forced to limp off after just 14 minutes with a hamstring injury and, following his departure, Deal began to enjoy some possession of their own. However, with both defences resolute, neither keeper was called into serious action in the opening 45 minutes but that changed soon after the restart. First Whitstable keeper Dan Eason had to leap to his right to turn away a fierce 53rd-minute volley from Carl Munday, and then three minutes later Waymark pushed a Treadwell half-volley away for a corner which led to the opening goal. The Hoops were unable to clear Jamie Callado’s inswinging delivery and Quain eventually drilled the ball home low through the crowded six-yard box. 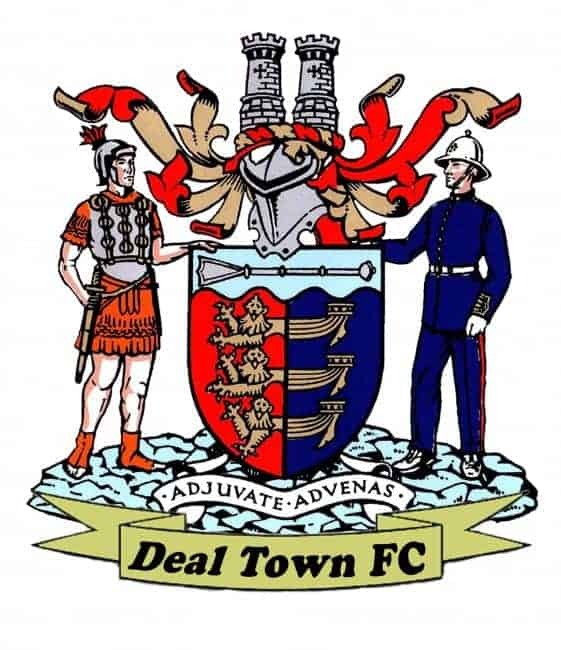 Coming on the back of Saturday’s five-goal defeat, Deal’s heads could have began to drop at this point but they kept plugging away, only to run up against a brick wall in the Whitstable penalty area. And the Oystermen rubbed it in with their second goal when Quain fired his 20-yard free kick low into the far corner past a three-man Deal wall which left him with an inviting gap to aim at. Deal: Waymark, Short (Mentessi), Bagley, A Coyne (Causer 73), Smith, Hill, Anderson, Miller, C Coyne, Walsh, Munday.